upscale features and facilities. 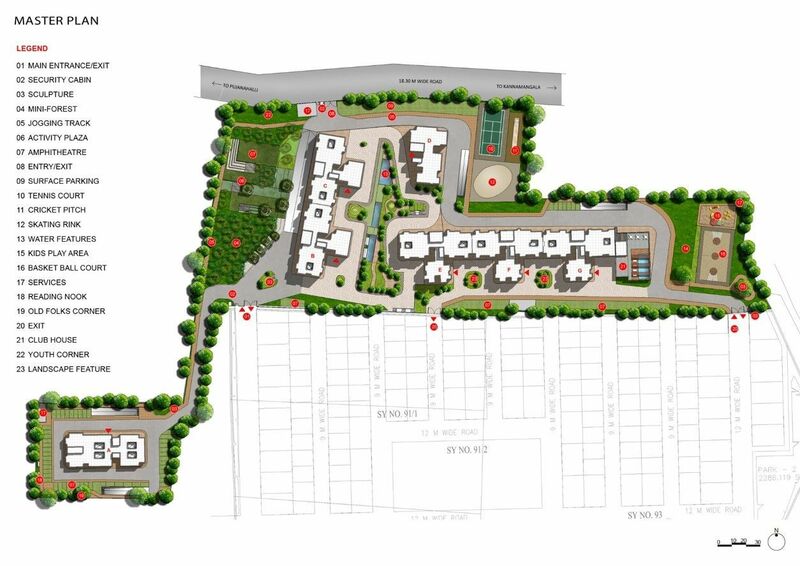 The block includes one high-rise tower in Ground plus 16 floors configuration hosting 160 units of luxury abodes set in the thick of landscaped outdoors. exteriors. The specifications used in all sections which includes Kitchen, bath fittings, paints, structure, lifts/lobbies, flooring, doors, electrical and security, are of top-standards and quality. The amenities provided includes an all-inclusive clubhouse, gymnasium, swimming pool, kid’s pool, yoga/aerobics area, outdoor courts, table tennis, indoor games/billiards room, jogging track, children’s play area, community hall, library, space for grocery mart, International School, landscaped gardens, and round the clock security monitoring. growth in housing establishments. 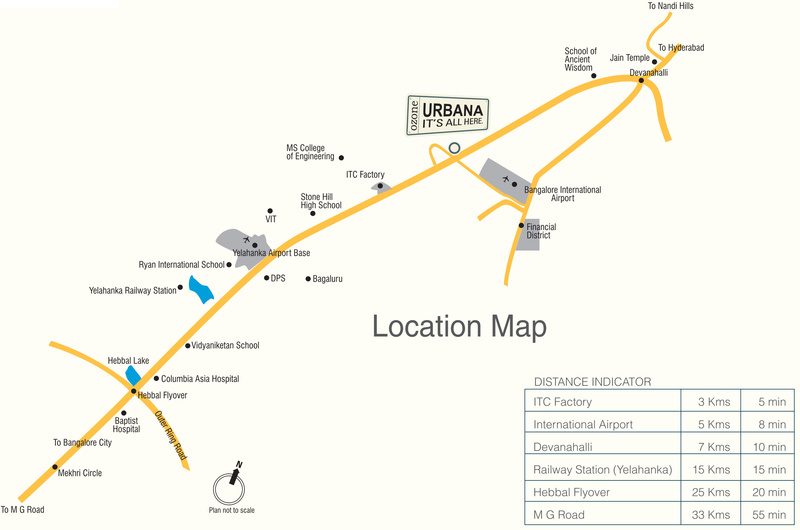 The premise is at short drive distances to IT hubs of Manyata Tech Park (around 30 Kms via NH 44), Koramangala (45 Kms via Bellary Road), International Tech park – ITPB (40 Kms via SH 35), and Whitefield (38 Kms via SH 35). Home automation, LED lights, sensor lights, etc. Please Fill The Enquiry for More Details. Sewage treatment plant (STP) included. 2 Automatic passenger lifts in every block. We take pride in bringing excellence and innovation in the housing sector by developing architectural marvels. We have also earned a reputation in the market for being one of the few builders who integrate ‘green’ concepts in our projects.